I enjoy watching birds. They are generally beautiful creatures, with habits and feeding methods that amuse me. The tiny little blue-grey gnatcatcher must have to eat thousands of gnats to make a meal. And sometimes herons and egrets and pelicans have a devil of a time getting the fish they catch down the hatch. 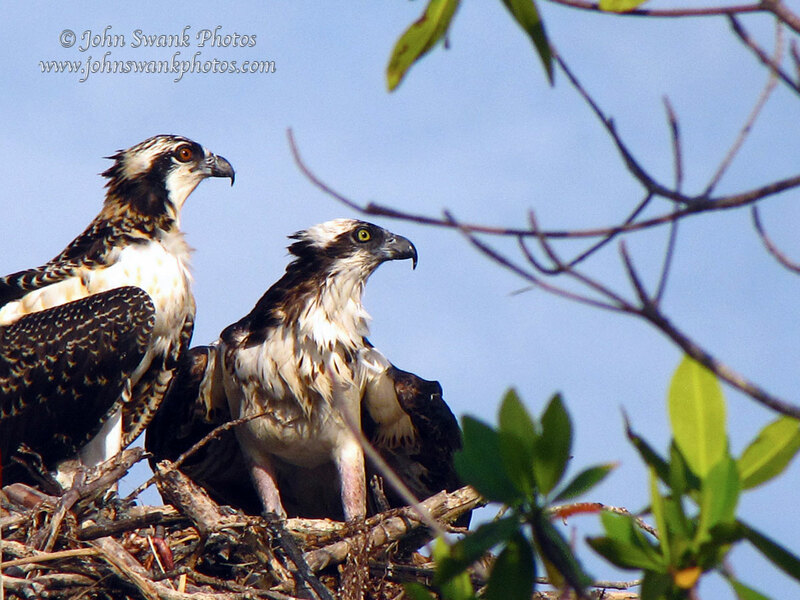 And osprey–don’t get me started–their nesting and rearing of young is heroic. 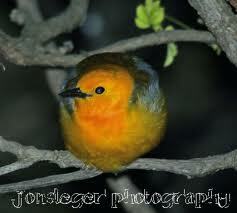 Bird songs are beautiful too, but that brings up modern technology. It is now possible to carry a cell phone with an app that can play and broadcast just about any bird call. Real birds of that species respond by coming toward the sound. It’s not a new idea–ducks have been summoned by hunters for years, but in birding today it’s common for anyone to whip out a cell to playback a call. Neither humans nor birds can tell it’s a recording. I have mixed feelings about this, and its a hot topic among real birders. It adds to the joy of birding if you can actually see birds, but honestly, “calling them in” feels like a guilty pleasure. Instead of spending hours waiting around where the bird was last seen, you can use playback and be on your way to the next spot. But it feels wrong. Imagine it was you–you could hear your phone ring somewhere, but had to run around madly trying to find it every time it rang. You could be eating, bathing or tending a baby, but you HAD to find it. And when you got there–nothing. It would be exhausting, and we’re not birds. And then there’s pishing. That’s just making a noise with your own mouth that sounds like “pish pish,”and sometimes birds fly in to investigate. I swear one spring in Maryland, I had a prothonotary warbler look at me after pishing, as if to say:“Was that you, fool ?” The best, the very best bird behavior I have heard was in a parking lot at Yellowstone. 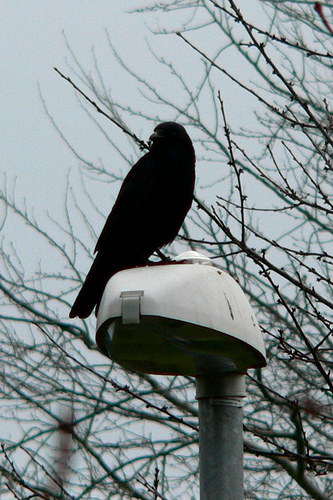 A crow, sitting on a lamp post, had learned to imitate the sound of car unlocking devices. Humans came out of the hotel, headed to their cars, and shook their heads, wondering what was happening when they heard the telltale “clunk clunk” before they even pushed a button. The crow, high above, was very pleased with himself. Payback is sweet. Crows probably don’t make lists, butI know full well the human need to name and list everything. But I resist making a life list of birds I’ve seen. (guess that makes it official–I am not a real birder.) 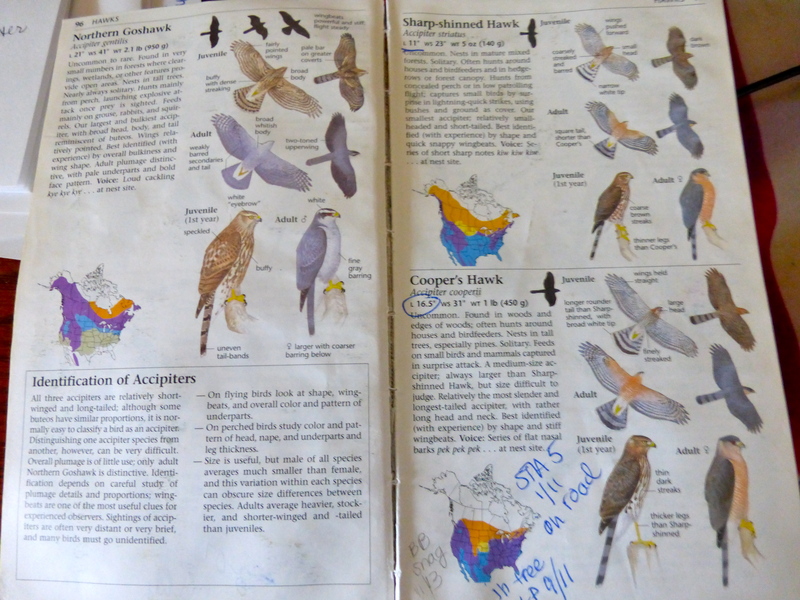 I note sightings in my beat-up field guide–what year and where. That is, if I remember to do it, and I’m not distracted by watching birds in my own backyard.